John Brown Media, a leading global content agency, has been selected by Spur Steak Ranches to publish Totem, their quarterly edutainment magazine. Packed with fun activities for children and distributed in more than 230 restaurants nationwide, Totem is the biggest circulating kids’ title in South Africa and features ‘Secret Tribe’ members Soaring Eagle, Buffalo Brave and Buttercup on its editorial team. In keeping with Spur’s family-focused, fun ethos, each issue reflects a passion for good food and family values; jam packed with awesome competitions, interactive educational games, eco-friendly tips and a fun filled Spur Secret Tribe Adventures comic. Totem editor Riekie Human will lead the Secret Tribe editorial team. Riekie has extensive editorial experience, having worked on a diverse range of titles including Private Edition, Shape, Obrigado, Edgars Club magazine and Proudly South Africa. Her grasp of the local publishing industry and success in working with clients to deliver a magazine that meets their objectives, will ensure that Totem is a must-read magazine for children. 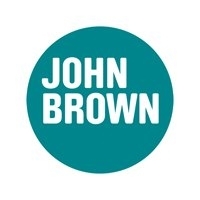 This is the first kids-oriented publication for John Brown Media, which also produces print and digital content solutions for blue chip brands such as Pick n Pay, Edgars and Discovery. The latest issue, which is themed around Science, will be in Spur restaurants from the end of June 2012.